Let me start with this, and I mean this in the nicest way possible - QUIT YOUR VALENTINES DAY HATRED. GET OVER IT! - How can you sit there and actually HATE on Valentines Day? I'll admit, at one point in my life, I too thought, "This holiday is pointless, I hate it!" Then I realized, if you don't look at it as a holiday, and more as just a fun excuse to celebrate, craft, and eat chocolate, then you'll come to love this day of celebration as much as me, I promise. I mean a holiday, that's a little excessive, but a day of celebration, that's easy! I can get behind that, can you? Okay, so since you're already convinced, let's talk about the progression of Valentine's Day throughout your life. Two words - ELEMENTARY SCHOOL - duh, the best time in your life, but was Valentine's Day not the best day ever? I have vivid, fond memories of Valentine's Day parties at school. Since it's not a real holiday, we always were in school for Valentine's Day, and that meant the class mom would plan a party with ridiculously fun games, cupcakes, and punch! Everyone would give out valentines and the days leading up to the party were just party prep. I feel like for a week you'd get ready for that party. Do you remember decorating tissue boxes so that you'd have something to carry all those awesome valentines in to take home to show your parents? 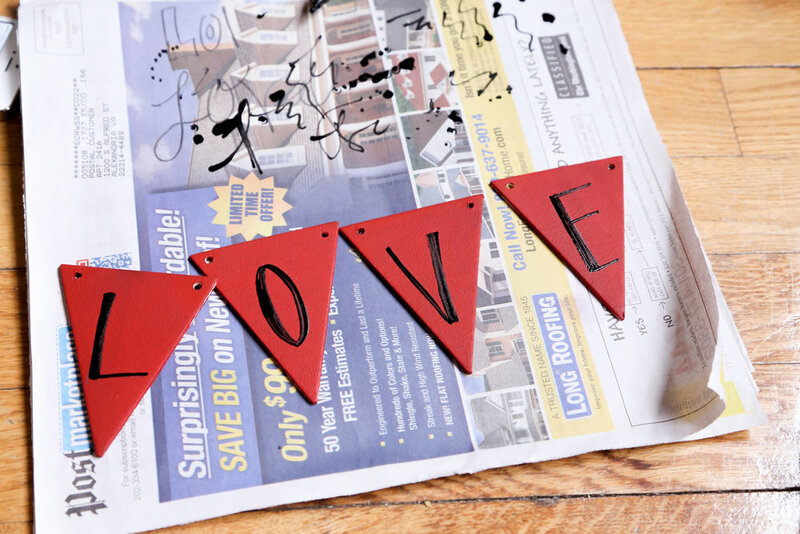 Were you in a purchase valentines or a make your own valentines household? Can you guess which one I was in, have you met Geralyn? Do you remember that game of guessing how many conversation hearts were in the jar? I won one year, go me. This is where there's a breakdown in my awesomeness of Valentine's Day as you progress through life - Middle School - can we all just agree this was terrible for everything for everyone aside from a few of you that peaked early in your self-confidence and ability to maintain the frizzyness of your hair. Okay, great we all agree Middle School should just be ignored. Next, High School - Valentine's Day in high school was well, for lack of a better term, interesting. Either you had your girl friends and just had a great night "out" or you had your first little puppy love experience. You wrote your first "love" letter, you got one of your first bouquet of roses, and you got your first box of chocolates that weren't from your dad. Then there was the College version of Valentine's Day - aka just another excuse to drink mimosas and whatever "punch" they were serving at your favorite bar. Post-College (for my unmarried friends, for all you married people - this post is pointless for you except for the DIYs and chocolate cake recipe) - now, we get to the point in your life you decide if you're gonna go all in with this Valentine's Day thing, or HATE it... those of you who hate it have obviously not experienced a true post-college Valentine's Day. I'm sure your response is "I'm single, thanks for rubbing it in!" My response is two words - GALENTINES DAY! Hello! I'd love to shake the hand of Leslie Knope for inventing such a wonderful day. I'm dating someone whom I LOVE and I'd prefer a Galentines Day celebration over a candle-lit-prix-fixe-menu dinner date any day (sorry sugar, love you! xoxo). If you don't trust me - read this buzzfeed article - we all know that's your source of hard-hitting journalism. I had so much fun this weekend getting my little apartment all decorated for Valentine's Day, slash the rest of February. I'm keeping this stuff up as long as your neighbors keep up their Christmas lights. I think you should head to Michael's as soon as you're finished reading this, and get to decorating tonight, call your gal pals, and plan a Galentine's Day Brunch they'll never forget! 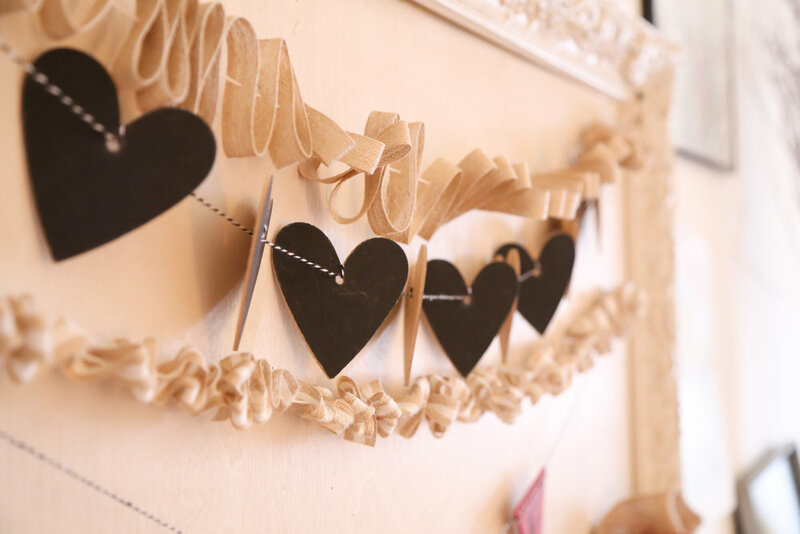 Let's start with the decorations - I'm a huge garland fan, I'm so glad it's so popular these days. I think it adds so much fun to a room/mantle when you're celebrating. It's that nice, subtle touch of something special. I got most of my ribbons from the $1 ribbon barrel, so these decorations ended up being fairly cheap, and boy are they easy. Also, who isn't a fan of chalkboards?! This one was so fun to make and really it just takes enough patience to let the paint dry. some spools of $1 ribbon - I went with generic burlap style ribbon, and then reds - I want to be able to use these for multiple holidays, I already know for 4th of July I'll add some blue and white, and for Christmas I'm ready to go with some greenery and snowflakes. some rolls of wide burlap strips - found on the same aisle as the wreaths. 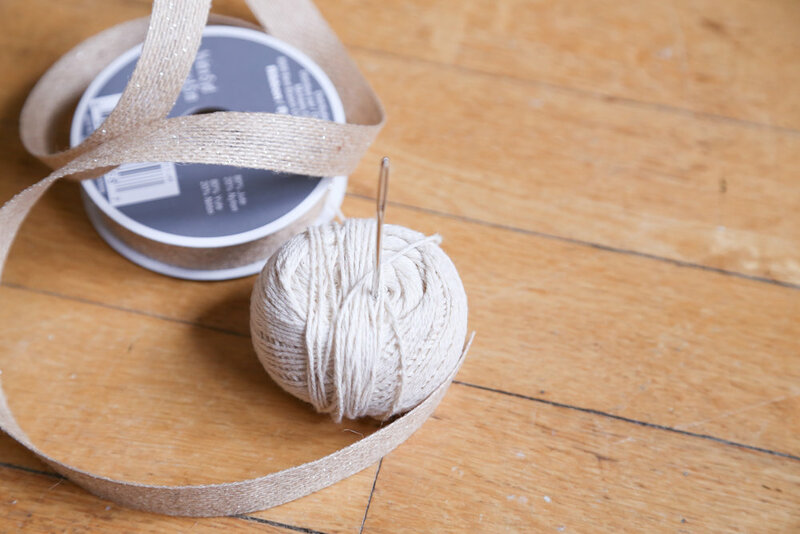 baker's twine - I love this stuff, I really use it for so many crafting projects, as well as in the kitchen. Let's start with the chalk board, won't this be the cutest addition to your front door? I'm a huge wreath fan. I love changing my out for each season or holiday, but I was kind of stuck in a wreath rut, so I thought I'd change it up with something I can change-up any day of the week! It's so easy - 1. go to Michael's and find this awesome new aisle where they have all this di-cut wood 2. pick the design you like 3. go to the paint aisle 4. get chalkboard paint and while you're there grab the foam brushes 5. find the dollar chalk 6. pick out your ribbon, and you're good to go! Once you get home, it's easy! 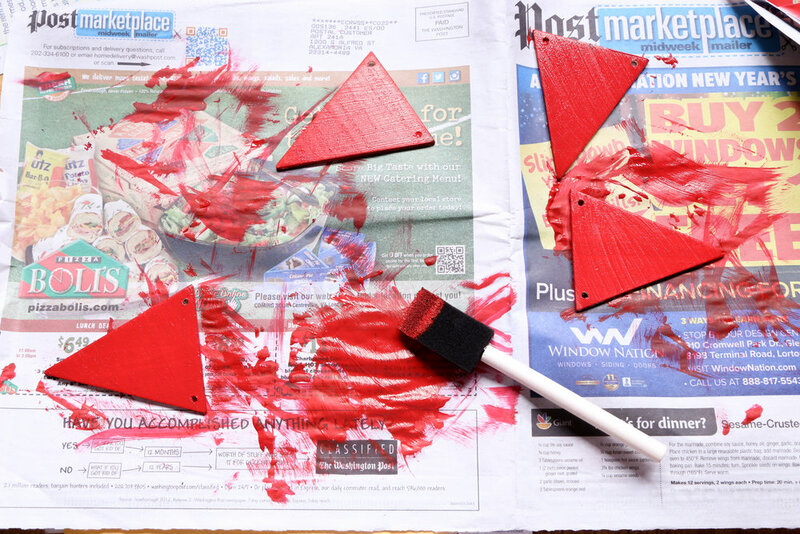 Paint the board - try to keep your strokes as even as possible - let the first coat dry for an hour, do another coat, let it dry overnight, then take a piece of chalk and rub it all over the dry chalkboard, wash with a damp, warm towel, add the ribbon, and hang it up! How cute would this be as a gift for your bestie who just had a baby! You could change the message out to warn people of what the status of the environment they were about to enter, change out the ribbon for blue or pink and you're all set! Next... the garland, as you can see, I did a couple of different types. Let's start with the easiest first - the hearts. I just took some bakers twine, and these precious heart tags I found at Michael's, and just looped the twine through - like you see below. If you alternate going in through the back and then through the front, you get the look you see there were the hearts start to face each other and every other heart is facing the same direction. Next the burlap - I did it two ways, with wire and with bakers twine, you get the same look from both, so just use what you have and make it easy on yourself. The key here is to make sure the gap seen from the front is a sort stitch, and the backside stitch is longer, see below, the pictures really explain it all! I used this method on three of the strands, the two widest, and one of the narrower ribbons (the bottom one in the picture below). 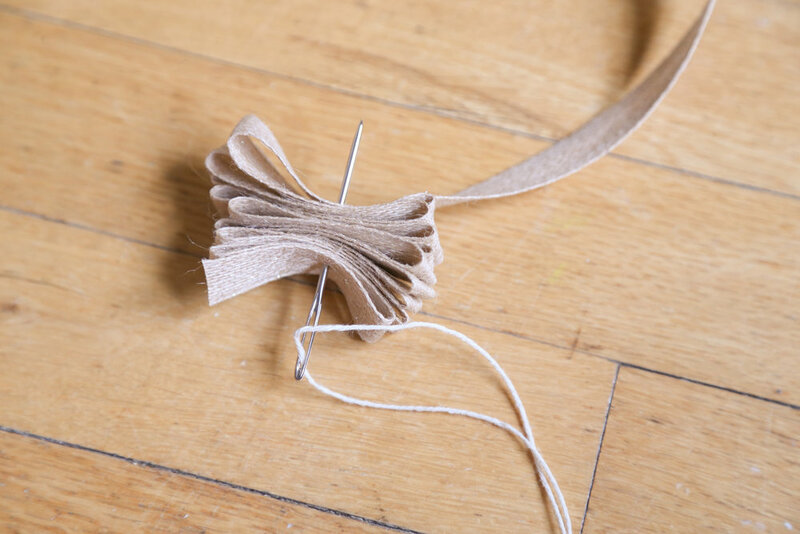 For the narrow strand above the hearts, I just folded the ribbon back and forth, like you would to make a fan, then I stuck the needle and thread through the middle. Last, but not least, the love strand. 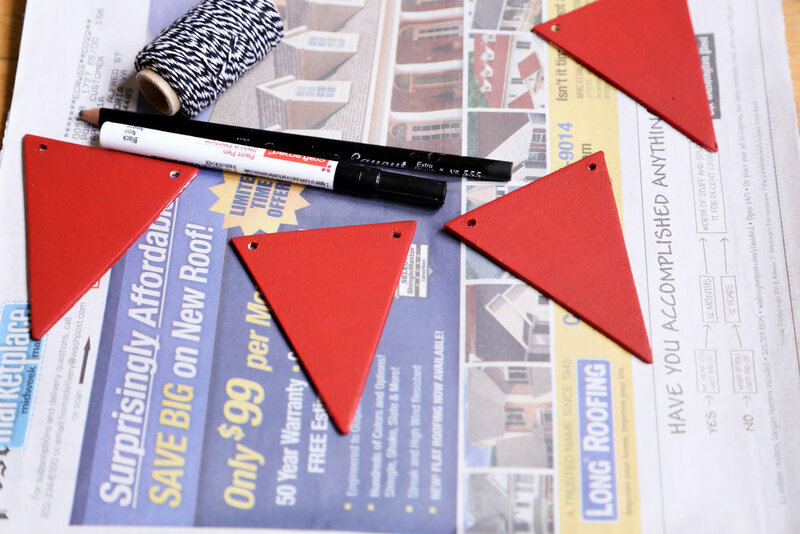 I just painted these perfect little wooden triangles with red paint, then with my trusty black paint pen I simply wrote "L-O-V-E" and then strung them up on some cute black and white bakers twine. Now, for the best part of your day, heart-shaped mini chocolate cakes! I iced mine with a dark chocolate buttercream, because I'm a buttercream addict, but if I were to do it again I would probably just pour a simple ganache over them and let them set up, and if you're really not feeling like dealing with the mini cakes, just frost the sheet pan and cover it with some red sprinkles! Put it all together and you've got the makings for a great Valentine's Day!